LG V40 ThinQ is official. Though the company had released official invites for an event scheduled for October 3, the device has been made official on the company's official YouTube channel. LG V40 ThinQ is official. Though the company had released official invites for an event scheduled for October 3, the device has been made official on the company's official YouTube channel. However, there are hardly any details about the phone's specifications in the video. The theme of the launch video is the camera setup on the new LG V40 ThinQ. 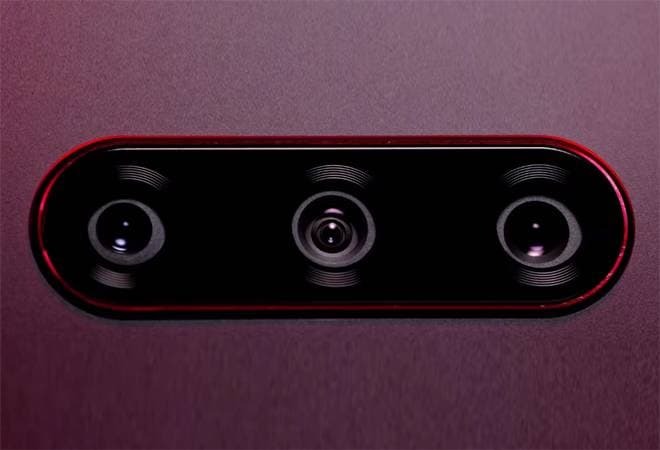 The rumours have been confirmed that the LG V40 ThinQ will come with five camera lenses in total. The video shows a triple camera module on the rear panel. Apart from that, LG will use a dual lens setup in the front camera. The primary camera will continue to feature LG's trademark wide angle lens coupled with the main lens. Sensing the growing demand of a dedicated portrait mode, LG has decided to opt for a third lens that should help with the bokeh effect on portraits. Earlier, the company had released a teaser showing three lens with different configurations. The latest video confirms the information. The 30-second video also displays the use of soft-touch materials in the LG V40 ThinQ. LG will be implementing a new soft-touch material on the rear panel of their flagship smartphone. This could be a special edition or LG will completely depart from the shiny glass back found on last year's LG V30 and this year's LG V35 ThinQ. The details about the phone will be made official on October 3. LG has revealed a video invite for an event that will happen on October 3 in New York, United States. The company will also be conducting a second launch event in Seoul, South Korea on October 4.